I absolutely love Christmas and now I have a little person to share it with (and to spoil) it is even better. 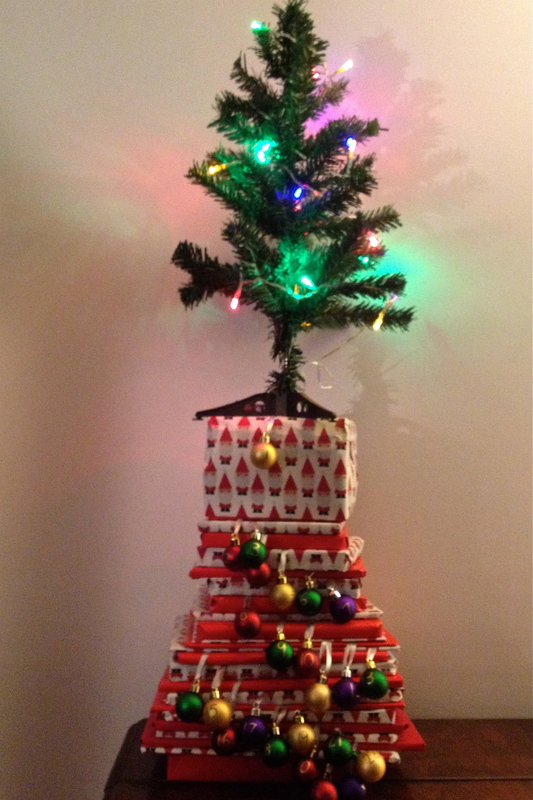 When I saw this idea originally in Pinterest I knew it was going to fast become a Christmas tradition for us. The idea is an advent calendar of wrapped up Christmas stories – your child can open a new book each night at bedtime and for the lead up to Christmas, you read a new Christmas story each night. I was so excited! What child doesn’t love opening presents? 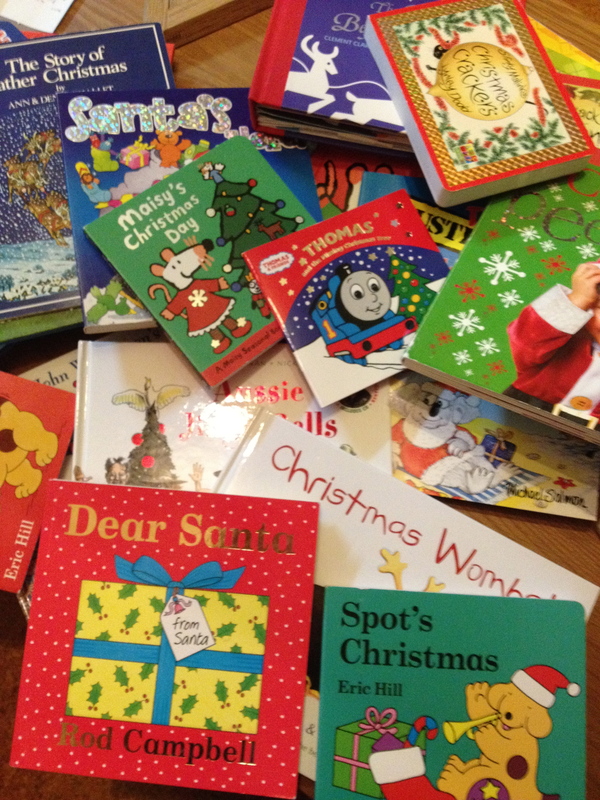 24 Christmas related stories – if you are having trouble collecting 24, try your local library or op shop. Even supermarkets, K-mart or Target have some cheap Christmas books. Make sure if you do borrow from the library that you strategically place those ones near the top so they can be returned by the due date! For our advent calendar, I also numbered 24 Christmas baubles (or naubles as Thomas calls them) and a small Christmas tree decorated with battery operated lights. Thomas can hang the numbered ‘nauble’ on the tree each night when he opens his story. Wrap each book individually and pile on top of each other. Number them any way you like – with a bauble or you could use a gift tag type numbering system. What ever you choose. Open one book each night with your child and read it together. There are so many things to be learnt from this simple activity – fine motor skills, numeracy, literacy, relationship and self esteem building. He hasn’t seen it yet :-). I’m so excited :-)!